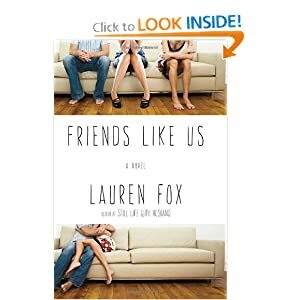 I want to start by saying congratulations to Lauren on the release of her new book Friends Like Us (released today). I think everyone needs to run out and get their copy today! Such a talent Lauren is and I am so glad she took the time to visit us here at MMBBR. 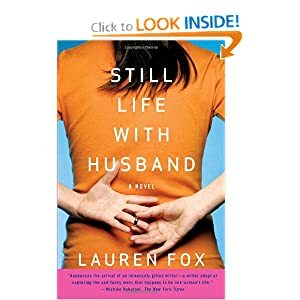 Lauren Fox is the author of Still Life with Husband and Friends Like Us. 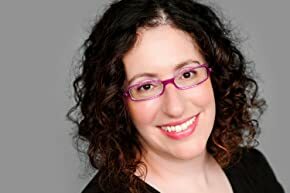 She earned her MFA from the University of Minnesota in 1998, and her work has appeared in The New York Times, Marie Claire, Seventeen, Glamour and Salon. She lives in Milwaukee with her husband and two daughters. A. Everything. My history, my family, my family history, the walk to school in the morning with my daughters, the news, a mood, a conversation, a song, a feeling. And coffee. Actually scratch everything except coffee. A. The solitude and the quiet, and the sense that every single thing in every single day has the potential to be material, something I can mine into fiction, if I’m paying attention hard enough. A. The solitude and the quiet when it’s not going well. And the uncertainty, the way it feels sometimes to write one good sentence and then think, oh, that’s it, that’s the last good sentence I’ll ever write. Too much time in my head. A. The story of my life would not have a title, because it would be three pages long, and too boring to continue. Just the way I like it, and also the reason I write fiction. A. This is the hardest question of all time! It’s like asking me to choose which of my children I love more. Well, maybe not quite, but I have loved so many books. How about this: of the books I’ve read in the past two or three years, Never Let Me Go by Kazuo Ishiguro and Atonement by Ian McEwan have been very high up on my list. Q. What character from all of your book(s) are you most like? A. I’m like all of the characters from all of my books, little pieces of me combined with pieces of friends and family members and everyone I’ve ever known, all sifted apart and then mashed together. How’s that for refusing to answer!? But it’s true. I think it’s probably true for most fiction writers. We’re like magpies, taking shiny bits from everyone and everywhere, and making our little nests. A. I love fall. I love the weather finally cooling after the unbearable heat of summer and the days getting shorter and the new rhythms of the school year. I love the introspection that the Jewish holidays bring, and I love Halloween with my kids and how they’re still too little to realize that I steal their candy when they’re sleeping. A. At my first reading of my first novel in my hometown, a woman in the audience eagerly raised her hand with a question. I was so excited to field questions about my book, so excited to finally engage with readers… and she looked at me with a smile on her face and said, “How did you come up with the name Molly for your daughter?” This is my actual, real live daughter she was talking about, not a character in my novel. I realized at that incredibly strange moment that I really had to be prepared for just about anything. A. Always. Right now I’m really just conceiving of the next novel. The possibilities feel endless, which is thrilling and terrifying. A. It’s a privilege to have someone read something I’ve written, so, sappy as it sounds, just – thank you. Upcoming reads I cannot wait for!